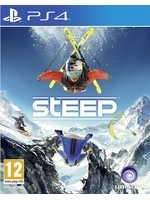 Steep is getting some Gamersyde coverage on this sulky day (in Belgium at least), with no fewer than 13 videos. There's something for everyone, whether it's the 1440p PC version or the Xbox One version, both captured by Miguel, or the PS4 version. Concerning the latter, the videos were captured on PS4 Pro, however being a beta, there are no specific enhancements. im a gamer syde fan!! Shouldn't you complain to LG? Could you stop spamming the comments please? Thanks. Also, there is a specific part for problems and requests in the forums. lg oled support any 2160 p video with 30 or 60 frame.but cant play your 4k video!! I don't see what we can do about it at the moment. It's not like we are going to reencode all our videos so they can work on your TV. Can't you plug in your computer to your TV? there is a problem in your video coding!! many people watch video with usb flash in their high end tv!!! realy.im very sad about this case!!! Like I said, we are not going to change our whole system because the guys at LG haven't made their TV compatible with all types of files. Sorry. If there is anything we can do on our end in the future, we will, but we can't promise you anything. Masalan mikhai begi ke OLED dari?! hadafet chie az in hame commenthaye bikhod? hamin shomaha hastin ke aberooye ma Irani'ha ro hameja bordid. chand salete? 12 ya 13? bishtar nisti moshakhase. man 1 salame o shoma pedar bozorg. vaghti 2 ta abar rayane ba ham bahs mikonan,ye piremarde zighi ke nemipare vasat. khaymalaiee mesle to hasatan ke hame ja bayad khodeshono be esbat beresunan! dar zemn,adamhaie mesle man hasatan ke baese hal shodane yek moshkel va ertegha mishan.are!ahhhmagh jan.
Omidvaram tooye zendegit movafagh bashi va be jahaie ke liaghatesho dri beresi va hamintor be ertegha dadane donyaye atrafet komak koni chon ma ensanha bedoone kasani mesle shoma rahemoon ro gom mikonim. Doroood bar to ey ABAR RAYANEH. khoshhalam ke laaghal harfe hagh o ghabul dari. There are private messages guys. Not everyone speaks your language here. Thanks. Sorry about that Driftwood. you have my respect all the time. So, I got in the beta. Tried it out for awhile. It feels pretty bland, to be honest. None of the activities you can do have any sort of depth to them. Skiing, Snowboarding, Sky-whatevering, they all lack depth. For instance, jumping is either trigger, grabbing is the same button, and don't worry about bailing because if you let go before you land, you'll land. None of the activities or modes have any sort of realistic simulation to them, or even unrealistic for that matter. The game basically holds your hand through everything, and at most its challenge is time-trial based. 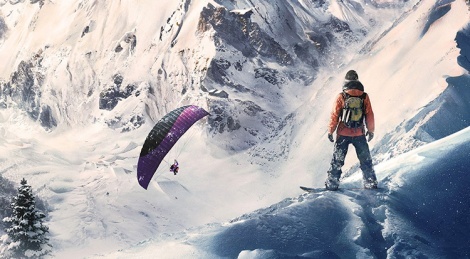 They had a unique opportunity to combine 3 major snow sports and make them all equally fun and technical and challenging. It failed on all accounts.